We arrange to meet at his local golf club - a quite stunning setting, situated six miles west of Swansea on the Gower Peninsula coast. "Do you know the way?" asks Malcolm Nash. "No, I've not been there before." "Well, just head to Mumbles and pick up the signs. Turn right off the main road and then at the top of the hill, turn left towards Langland. Then just keep going - right on until the end of the road." The directions are spot on. The Langland Bay Golf Club lies at the top of a narrow lane; you can't go any further. With the luxuriant course hidden behind a hedge on the left, half a dozen detached houses line the latter part of the road on the right before you drive in through the narrow entrance, past the clubhouse, and park up. Your round over, you might linger for a drink at the 19th hole before heading for the exit around the back of the main building, via the shape of a horseshoe, and return the way you came in. When Nash retired, John Arlott penned a customarily insightful appreciation of the latter half of one of cricket's most well-known and enduring combinations. 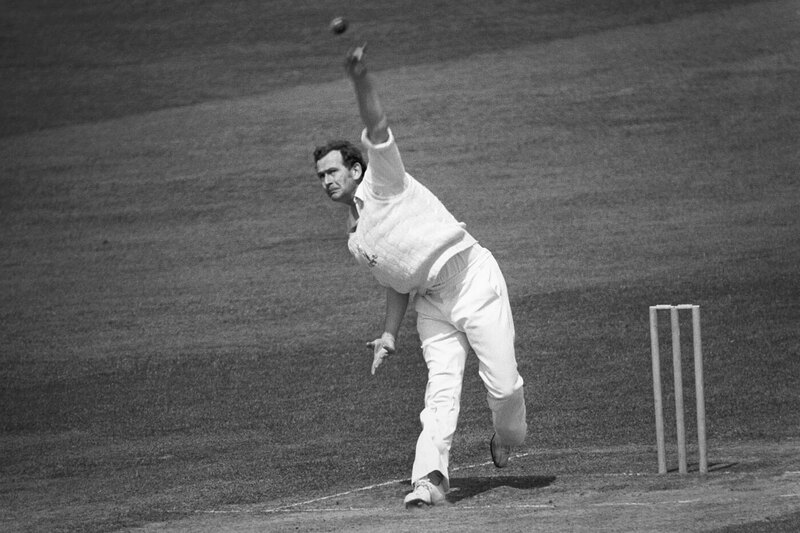 Writing in Wisden Cricket Monthly, Arlott praised him as "a highly skilful manipulator of medium-pace seam bowling" and, inevitably, mentioned his connection with Garry Sobers. He also described him as a "thoughtful and sensitive cricketer". As Nash reflects on his threescore years and ten, he has much to ponder: his health, his wealth (or lack of it), and the ongoing disagreement with the auction house Christie's over the authenticity of the Six Sixes ball they sold for £26,400 in 2006. It's a touchy subject; when discussing it, he always refers to the disputed cherry as the "ball" - in inverted commas. Nash feels that his name has been taken in vain; aspersions are still being cast and his reputation is at stake. He sits at a table in his golf club's television room and sips a soft drink - with a turned-off TV set, some upturned chairs and me for company. Nash has chosen the meeting place; I have selected the topic of conversation. For what must seem like the umpteenth time, he's recalling his main, but certainly not his only, claim to fame. Forty-seven years have passed since Sobers made hay and history in the sunshine at St Helen's in Swansea as Glamorgan took on resurgent Nottinghamshire in a late-season County Championship match. By propelling a cricket ball out of the ground for the final six of six, Sobers unceremoniously deposited Nash into the game's hall of infamy for ever. On a similarly hot summer's day, Nash is suitably dressed in shorts and a blue-and-white-striped polo shirt. The look in his eyes - which match the main colour of his casual top - seems to be one of sadness tinged with frustration and resignation. He has learned to live with, even embraced, the ignominy of the Sobers assault; it's more the result of his current lot in life, especially his heart trouble, exacerbated by his one-man battle over the "ball". Nash's problem with Christie's is simple: he bowled one Stuart Surridge to Sobers six times. It wasn't a Dukes or the third of three balls used in the over - as the lot notes erroneously claimed. 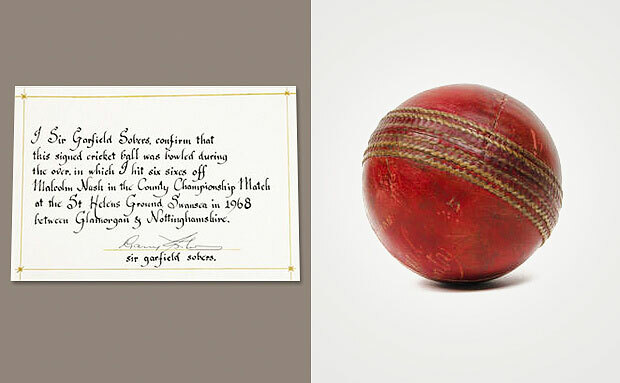 Since the sale, Christie's have played a consistently straight bat - citing the accompanying certificate of provenance, signed by Sobers, stating "that this signed cricket ball was bowled during the over in which I hit six sixes off Malcolm Nash…"
The uncut BBC TV footage of the over - rather than the edited YouTube version - supports Nash's assertion that he bowled with one ball rather than three. A deluge of documents and eyewitness statements from his Glamorgan team-mates confirm the original ball's make. 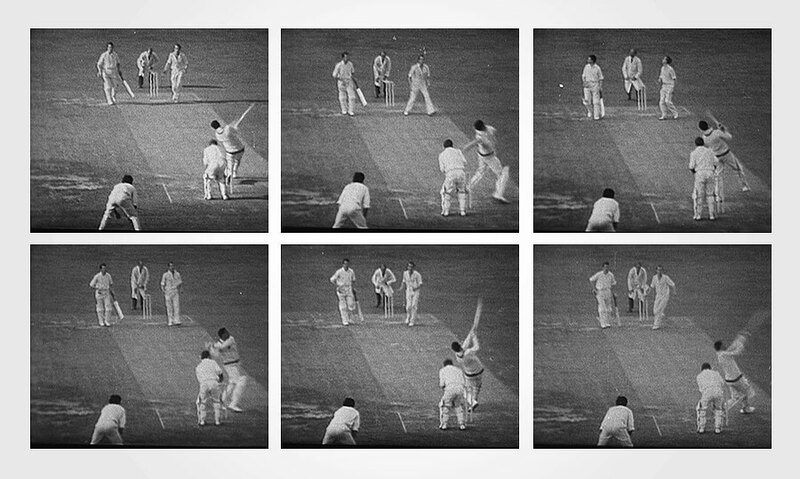 "Only one ball was used," recalls Tony Cordle, the opening bowler, who was at long-on during that over. "We always used Stuart Surridge because the club's scorer, Bill Edwards, had a contract with the firm to supply his sports shop with balls - not just in Swansea but whenever we played a game at home, even when we went to Colwyn Bay in North Wales." "Christie's are saying they've done their due diligence and see no wrong," he says. "Okay. How could they have done due diligence when they haven't bothered to call me? They haven't asked me a question at all. I'm now getting somewhat irritated that my reputation and integrity is being called into question. There are people saying to me: 'Hey, are you involved in some sort of shenanigans, some sort of conspiracy or whatever?' It's not really nice to be tainted - the thought that I was in on the take of any of the cut of the sale." "I couldn't open a bank account - even though I'm a UK citizen born and bred and had had one for 40 years before leaving for Canada. I was told I was an alien, a foreigner"
In his profile of Nash, Arlott also observed that "he was never a bowler to settle for the slavishly defensive; but sought to attack and outwit opposing batsmen". True to form, Nash has no regrets about pursuing that policy in Swansea in 1968. In the aftermath of the mauling, he was criticised for not bowling defensively to Sobers. He had been experimenting with quickish left-arm orthodox spin in the nets, in the style of Derek Underwood, and tried out this "other stuff" for the first time that season as Glamorgan tried to buy a wicket and Nottinghamshire headed towards a declaration. The change had paid off handsomely because Nash had taken 4 for 64 before the fateful 99th over. Even as the record-breaking feat loomed large, he refused to fire the ball wide down the leg side or outside off stump. "You don't get people out unless you bowl straight and you attack them. It doesn't matter whether you're bowling spin or medium pace or quick." Nash's only regret is that he didn't go over rather than around the wicket; such a tactic might have trapped Sobers lbw or bowled him. "I think maybe that would have been a better option. I changed tack with the last ball: it was a seamer, again from around the wicket, and it turned out to be a rank long hop which went further than any of the others." "Poor", "helpless", "hapless" and "unfortunate" are just a few of the adjectives used to describe Nash whenever the famous over is recalled. In truth, he was quick to throw off the cloak of victimhood and never looked back. It was a career-defining but not a career-breaking experience; in fact, quite the opposite: those six balls made his name. Malcolm Andrew Nash's supreme self-confidence had already led to team-mates adding "Super" to his initials of MAN - a moniker he had justified when his devastating spell of 5 for 28 helped Glamorgan beat the Australians by 79 runs at St Helen's three weeks before the Nottinghamshire game. A year later, his county won the Championship for only the second time in their history and Nash took 71 wickets at less than 19. During a career in which he collected 993 first-class victims, his ability to swing the ball both ways earned him an England trial and he performed impressively in limited-overs cricket. 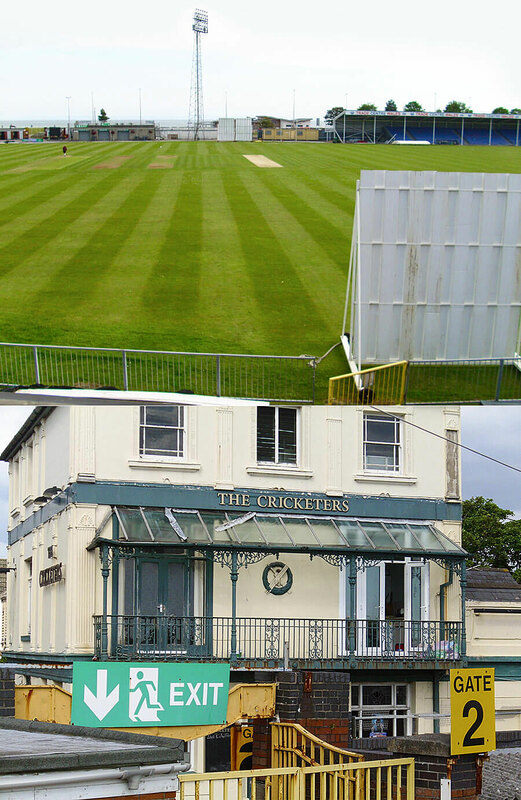 Four days before Glamorgan were beaten by Middlesex in the 1977 Gillette Cup Final, the Six Sixes curse almost struck again: same ground but different batsman, end and type of bowling. 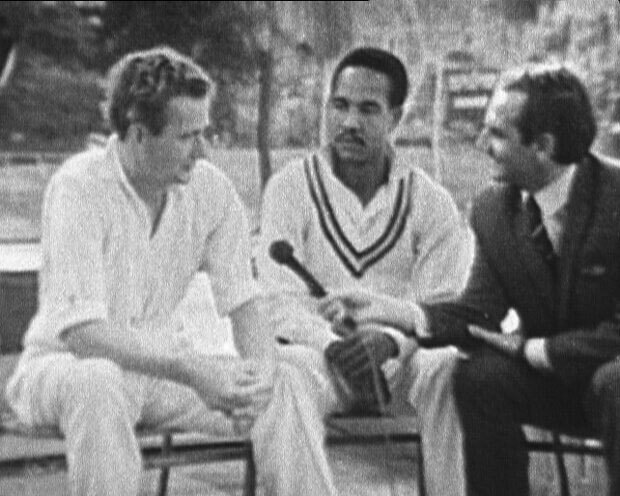 For Sobers, read Frank Hayes, English cricket's golden boy, whose century on Test debut had prompted British author Jilly Cooper to observe: "I wouldn't mind making Hayes while the sun shines." With Lancashire looking for quick runs, he took Nash to the cleaners - a second-ball four ruining the perfect set. "I was late onto the field because I was taking a call from a journalist, who, I believe, was from the Daily Mirror," Nash recalls. "They ran a Spot the Ball competition and the winner was given the chance to ask a question. It was: 'Would six sixes ever be hit again?' As the bowler involved the first time, I was asked for my opinion. "Out I went and began bowling with a seaming new ball. It didn't happen again - but it was close! After the first six, Frank hit a four and then I bounced him. St Helen's? You bounce people? Crazy! Afterwards, he smiled at me. 'Thank God you didn't hit the second ball for six,' I said." Nash captained Glamorgan for two mediocre seasons in the early 1980s before retiring from the first-class game in 1983 and playing Minor Counties cricket with Shropshire for another two years. In 1991, a sports marketing job took him to Canada and then the United States, and he worked widely as a cricket coach in both countries as the game struggled to put down roots. He ended up driving school buses in Florida. As he was about to start work just north of Tampa Bay one morning, his heart condition came to light. "I just couldn't get up onto the bus. All I wanted to do was to sit down and go to sleep. I didn't have chest pains - I just had no energy. The next thing I knew, I was in hospital after being rushed there by ambulance. An irregular heartbeat was stabilised and I was put on medication to control it. I was off work for a couple of weeks and I then had to take a physical to be cleared to report back." "There are people saying to me: 'Hey, are you involved in some sort of shenanigans, some sort of conspiracy or whatever?' It's not nice to be tainted"
But Nash's North American sojourn was drawing to an end. A conversation with Amba, his daughter from his first marriage, proved the turning point as family - and hiraeth, a Welsh word to describe a longing for one's homeland - persuaded Nash to return to Wales. "I'd had a disruptive second marriage in Kansas and I didn't know how much longer I had left. "There was also the cost of shipping my body back to Wales and I'm a fairly straight-up guy - cremation, a little dust, put me in the wind. If I had six months left, I'd prefer to be in Wales - then they could spread my ashes over St Helen's." 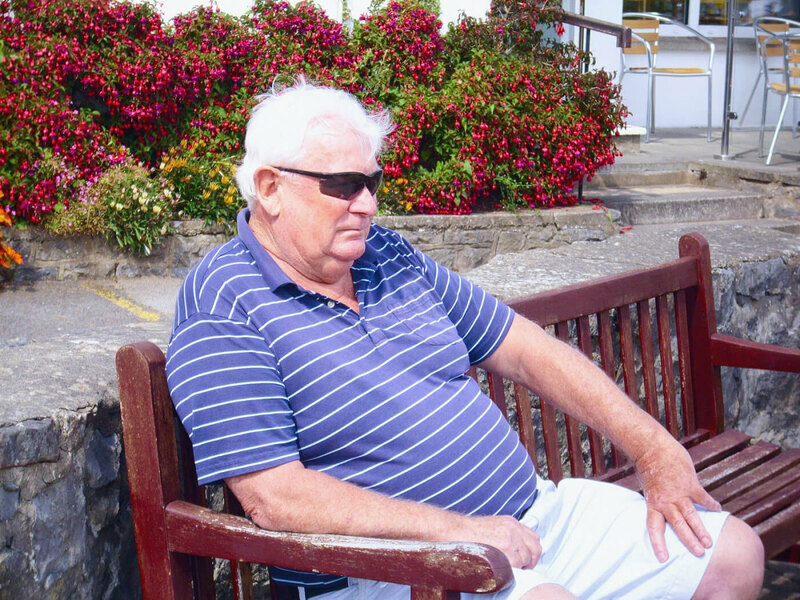 On his return in 2013, Nash stayed with his daughter in the Swansea area for two months before moving to a cottage not far from his local golf club, which he visits a couple of times a week. He quickly discovered that life had changed a lot since he'd been away. "I couldn't open a bank account - even though I'm a UK citizen born and bred and had had one for 40 years before leaving for Canada. I was told I was an alien, a foreigner - I felt like a criminal. It was ridiculous. It took me three months to open a bank account but I still can't get a credit card." Of more pressing concern were the gory details of his medical condition. The aortic valve, which allows blood to flow from the heart's main pumping area, wasn't working properly; his arteries were blocked. The future looked grim. "I was told I was lucky to be alive and unless something was done about it, I had less than a year to live. I had triple heart bypass surgery just over a year ago and although I'm still not right, I'm a lot better. I'm gradually getting there - a lot of it is mental as well. If you want to do something, you'll do it. I still get a little tired but I think that's just normal after this sort of operation, which I'm told has a 99% success rate. I'm able to breathe every day and I can play the odd game of golf, which is fine, but the Driving and Vehicle Licensing Agency in Swansea won't accept my commercial driver's licence and I'd have to pay two or three thousand pounds to do all the tests again, so I don't think I'll be going back to work." "How are you managing to support yourself?" "With great difficulty. The Professional Cricketers' Association have been extremely helpful, I have my state pension and housing benefit - that's it." Nash's income will be supplemented later this year when he becomes part of my current talk, based on my book Howzat? The Six Sixes Ball Mystery - the result of an 18-month investigation into the controversial sale of the disputed Dukes. What happened to the original Surridge ball? Nobody knows, but the commonly held view is that Sobers simply pulled out the wrong one from his bag before giving it [the Dukes] to John Gough, the then secretary of the Nottinghamshire Supporters' Association. The Howzat? event features a DVD screening, radio interviews, poetry and song as I perform it at monthly winter meetings of cricket societies all around Britain. Nash will replace special guest John Parkin, the Nottinghamshire batsman standing at the other end during the famous over, when it is staged for members of the Norfolk Cricket Society at Norwich in November. The reaction of readers and reviewers alike to both the book and the talk has been most gratifying. It bears out my long-held view that Nash has received an unfair press following the Six Sixes ball sale. One Amazon customer remarked that Howzat? should have been subtitled "Why didn't they ask Nash?" - a reference to the 1934 Agatha Christie thriller, Why Didn't They Ask Evans? Also set in Wales but with the initial carnage occurring on a golf course rather than out in the middle, Christie's book features impersonation and impostors - as well as phrases such as "hearty fellows, full of cricketing qualities", "something fishy" and "a frightfully queer feeling". - is sung with such gusto by audiences at evening's end that a protest march to the Christie's offices in London seems a distinct possibility. I consider it outrageous that a world-renowned auction house is unwilling to acknowledge the blatantly obvious - the Duke was clearly a wrong 'un - and it's sad that the industry's bywords of truth, transparency and trust have been called into question because of this sorry tale. As his recuperation continues, Nash's written request to the Christie's chairman, Lord Linley, the Queen's nephew, for a personal meeting has simply been ignored. Once again citing the Sobers certificate of authenticity, Christie's senior counsel Sarah Charles has also told Nash that they are "certainly not aware of any questioning of your own reputation and integrity". So just how important is such a signed document like Sobers'? According to Alex Capon, from the Antiques Trade Gazette, authenticity certificates are an important factor in the process "but are not a guarantee that an item is 'right'". While Sobers has apparently apologised to the Indian company that bought the Dukes ball from Christie's, Nash has ruled out asking Sobers to contact Christie's to clarify the position. "Sir Garfield has signed a certificate of provenance stating that the ball was the one he hit, so that might well put him in a very difficult situation from a legal point of view. Whatever he thinks he ought to do about it is for him to decide, but I haven't thought about contacting him about this latest revelation." Forty years after he retired, Sobers is still box office. During his annual visit to Britain this summer, he lent his name to a celebrity golf day as part of Sussex cricketer Luke Wright's benefit and carried out coaching sessions at a school in Taunton. But where does Nash go from here? Always thoughtful and sensitive, he now seems understandably world-weary. As he heads off towards the car park on his way home, he reveals that he will seek more legal advice from a golfing lawyer friend - but more in hope than expectation. "People talk about the 'ball' down here all of the time. I don't feel very good about it. There are other issues affecting me - like the medical ones - but the stress doesn't help." The club is at the end of the road. There's nowhere else to go and no other way to leave, and Nash drives back down the path he came up. Why didn't they ask Nash? The stage was now set for this iconic clash. As all around St Helen's, his spinners were smashed. And history was made with pure power and panache. But would he know the make? Why didn't they ask Nash?